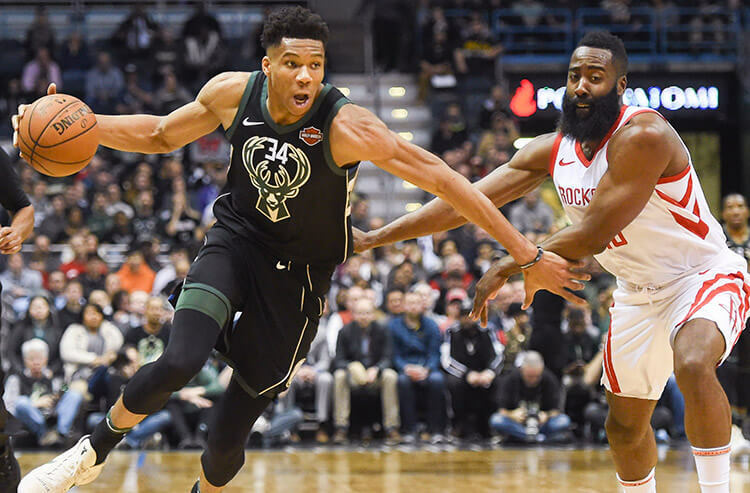 The two betting favorites for MVP - and two of the best teams in the NBA - clash on Tuesday night as James Harden and the Houston Rockets head to Milwaukee to battle Giannis Antetokounmpo and the Bucks. The 55-19 Bucks have a dominant 30-6 record at home, while the Rockets are 14-2 over their last 16 games. 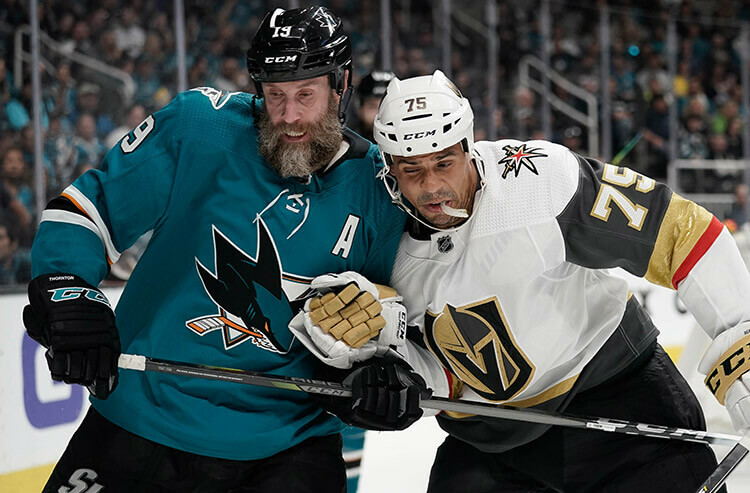 We break down the odds and best bets for this marquee matchup. Both these offenses get out to fast starts, with the Rockets averaging 29.6 points per game in the opening quarter and the Bucks averaging 28.8. The Bucks also allow 27.9 first-quarter ppg at home which ranks in the bottom half of the league. The Bucks have lost the race to 20 points in five of their last seven games, and while Giannis missed two of those contests they still ended up on the losing side of that bet in four of the five contests he played in (with their single race to 20 victory against lowly Cleveland). Back Houston to hit the 20 point mark first in this one. These two teams met earlier this season in a 116-109 Bucks victory in Houston. However Houston was missing both Chris Paul and Eric Gordon for the matchup while Milwaukee benefited from a 24-point performance from Malcolm Brogdon who is currently sidelined for the rest of the season with an injury. Houston actually outscored the Bucks in three out of four quarters that game and had a 60-54 lead at half. Over their last three games they have played exceptionally well in the opening half with an average scoring margin of +8. Back them on the first half money line. The game within-the-game will be between James Harden and Giannis Antetokounmpo, who both have an opportunity on the national stage to strengthen their case for the NBA MVP award. A big performance, and win, for either of them could go a long way towards convincing voters. One thing that has been apparent about the Greek Freak's play this season is that the young star relishes playing against top competition and has no hesitation at taking over a game offensively when his team needs him to. Giannis averages 27.4 ppg and does most of his damage inside with a whopping 17.6 ppg in the paint. That number is easily the highest in the league, 3.3 ppg more than second-place Anthony Davis. 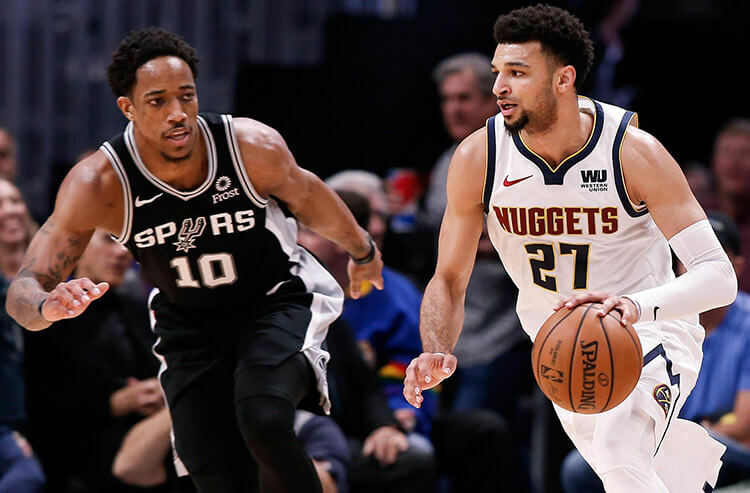 He should be able to dominate inside against a Houston defense that allows the third-most points in the paint in the league with 51.9 ppg, including 54.7 ppg over their last three games. With Brogdon and Nikola Mirotic out of action due to injury, expect Giannis to carry the burden tonight and take the Over on his points. The Rockets have cashed in on the Under in 10 of their last 12 games, but that trend could reverse tonight. While the Rockets play at a methodical pace the Bucks like to run the floor with the sixth-fastest pace in the league, and they lead the league in both scoring (117.5 ppg) and scoring at home (120 ppg). Milwaukee and Houston also make the the most 3-pointers in the league, with the Rockets leading the league with 15.7 per game (18.7 over their last three games) and the Bucks right behind them with 13.4. Both teams have offenses that are perfectly built to exploit the other team's weakness on defense. The Bucks allow the second most 3-pointers in the league which could lead to a lot of Rockets buckets from deep. And Milwaukee averages the third-most points in the paint per game, which should exploit that weak Houston interior defense we already pointed out. With the O/U for this game starting at 227 and dropping, don't hesitate to go against the line movement and back the Over tonight. 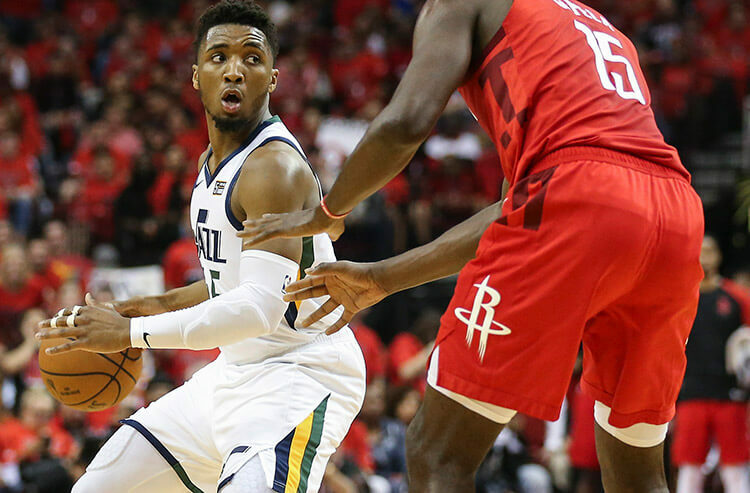 As well as the Rockets have played recently, they've struggled to cover on the road all season going 15-21 ATS. That's bad news against a Milwaukee team that is 22-13 ATS at home. We're betting that Milwaukee's advantage on the fast-break and ability to exploit Houston's defensive vulnerability down low should give them the edge in this one. Milwaukee has the best second-half scoring margin in the league at +4.7 and that jumps to an incredible +7.4 at home. The Rockets have a second-half scoring margin of +0.5, which dips to -0.6 on the road. Expect the Bucks to wear down the Rockets in the second half and take Milwaukee to win and cover tonight.